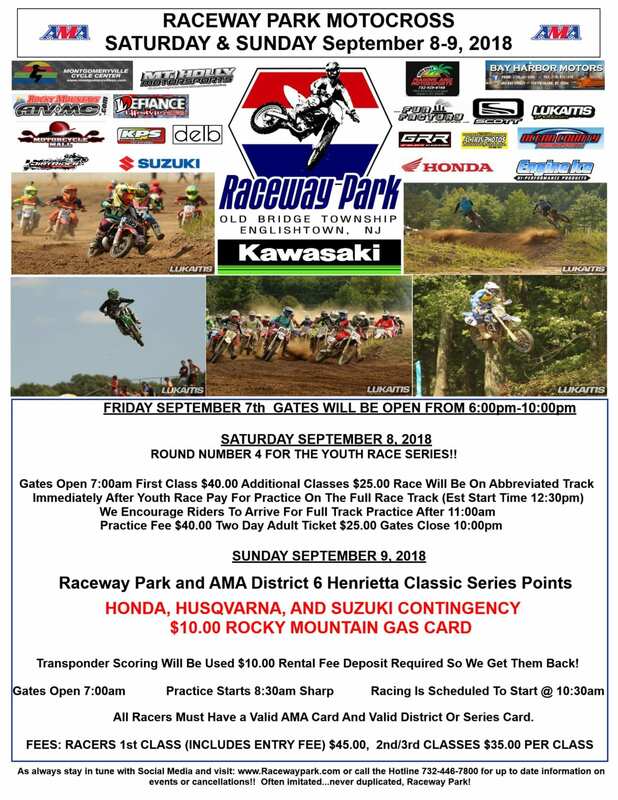 After a weekend off Raceway Park motocross returns again this weekend September 8-9, for 2 days of racing action. The Youth Series and open practice on Saturday and a full day of racing on Sunday. Check out the flyer below or racewaypark.com for more information.